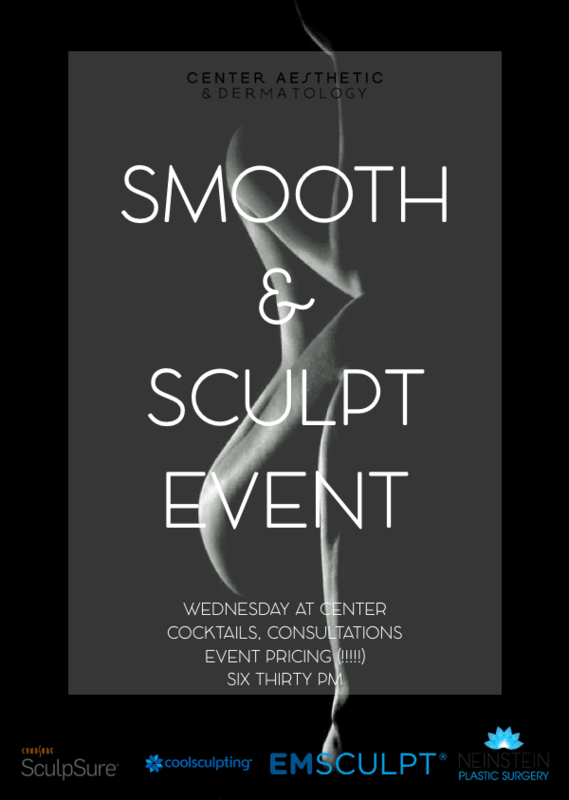 Center Aesthetic & Dermatology is hosting our first event of the season on Wednesday, November 14 from 6:30-8:30pm. 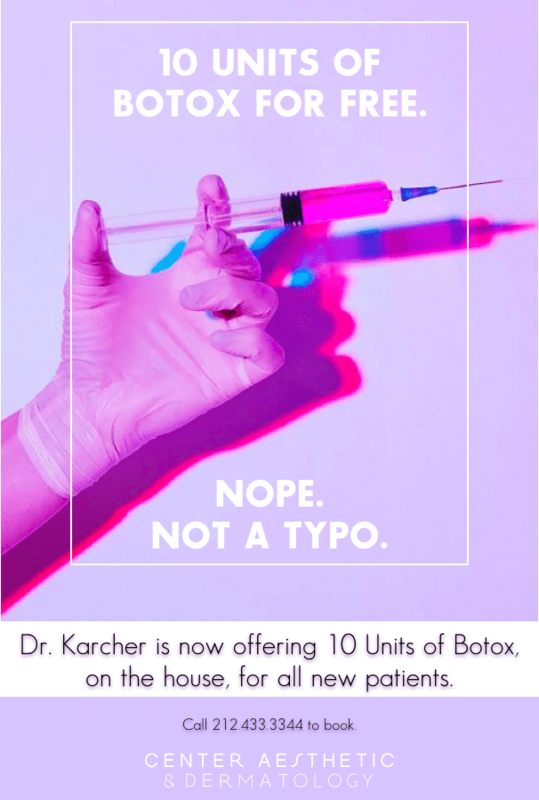 We're featuring EMSCULPT®, Coolsculpting®, and SculpSure® as part of our promotion to help you get in the best shape, like, ever. 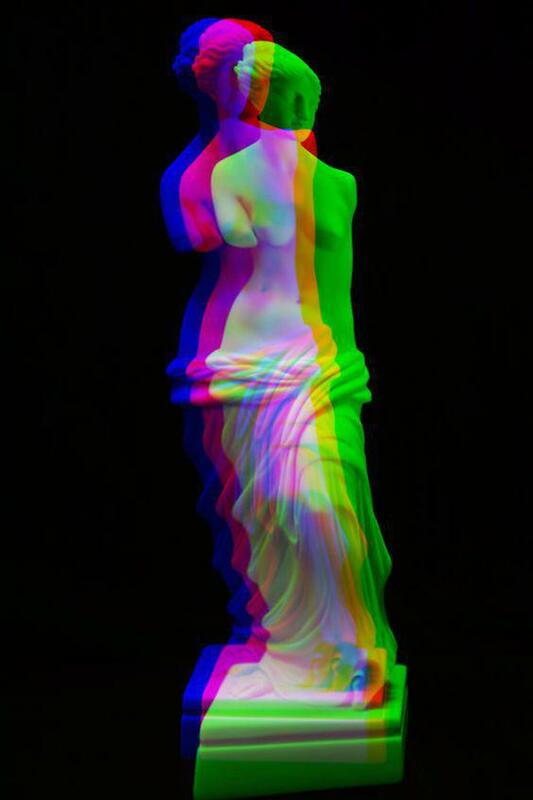 Center Aesthetic & Dermatology is now home to the world's first and only FDA Approved muscle building and sculpting device, the EMSCULPT®. 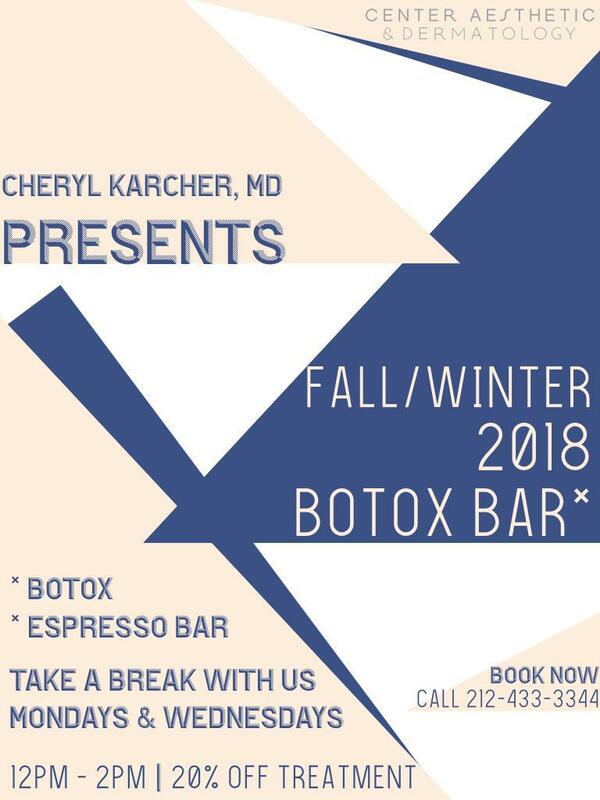 Dr. Karcher continues our popular Summer promo into the Fall/Winter 2018 Season! Woo! 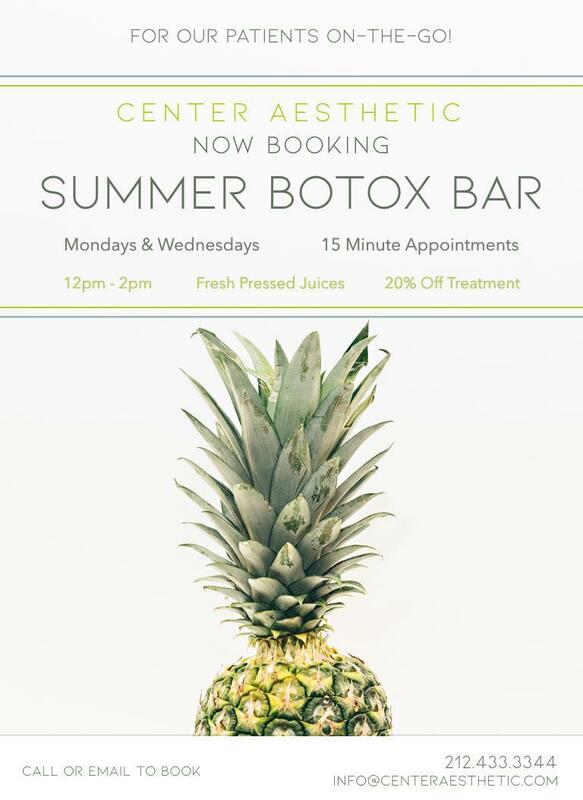 Our Summer Botox Bar is happening, people!